Distressed bright red stitching and fresh dirt-stains can only mean one thing: batter up! Amp up your pre-game publicity by printing Baseball Stitches Flyers and handing them out in advance. 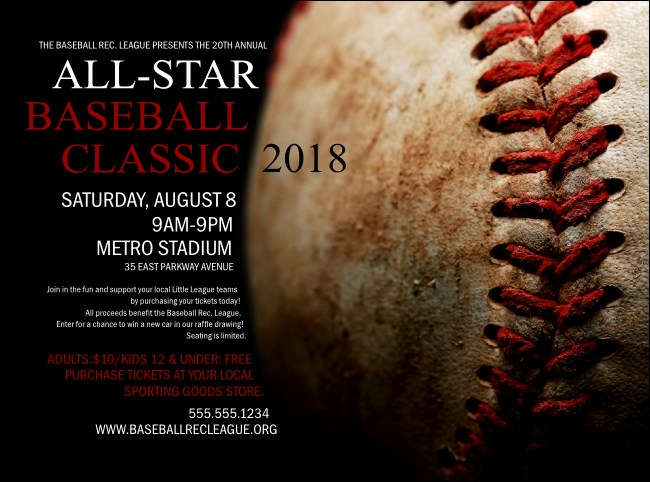 These sleek Flyer templates have a black background offset by the image of a weathered baseball that’s so sharp you can almost reach out and throw it. Come on home to TicketPrinting.com.